Cleaning out the fridge this morning I found some eggs, two bananas, and 1/4 tub of sour cream. 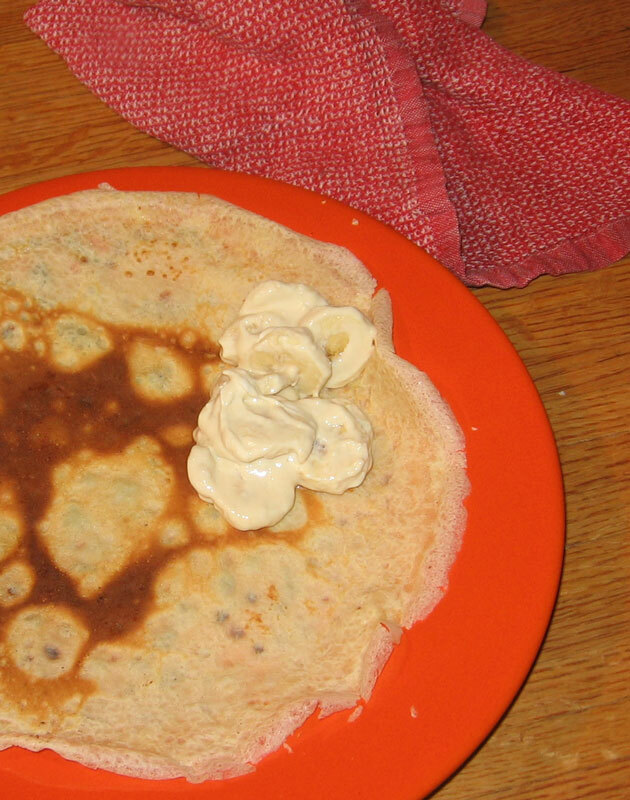 I put them all together, along with flour, sugar, butter, etc., and made crepes with banana sour cream filling, flavored with Haitian vanilla! 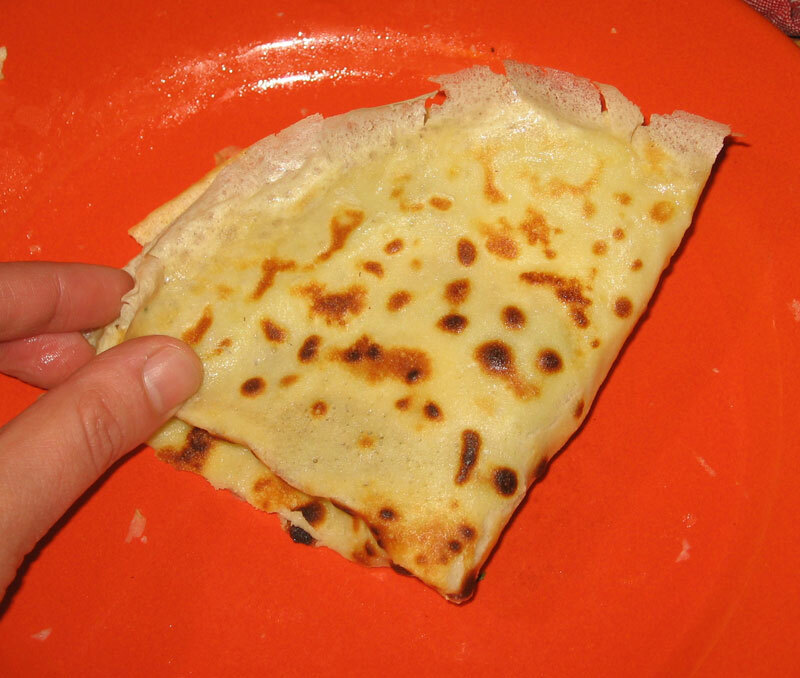 I made a basic crepe recipe. I wasn’t sure if I would have any guests over to help eat, so I made the full 2 egg batch, and ended up with quite a bit left over. The filling was 1/4 cup sour cream, some sugar, and a dash of vanilla. I thinly sliced two bananas, and stirred them up into the mixture. 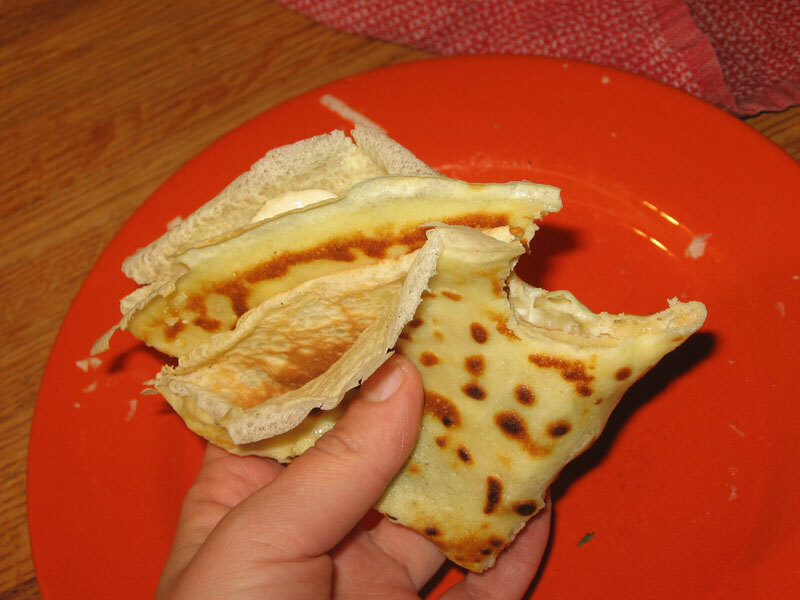 Into each crepe I put a little filling, and then folded it into quarters. 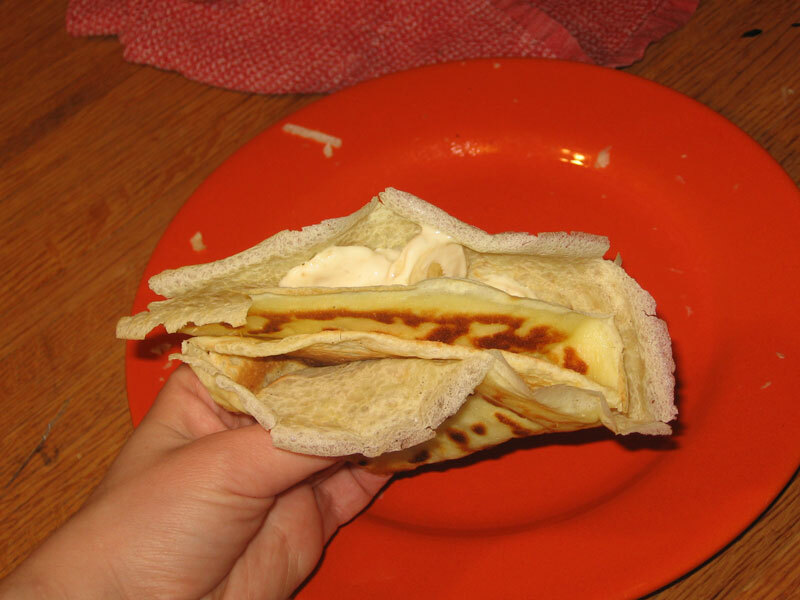 Sometimes when there is no one else there to talk to or sit down with, I end up eating while standing…especially when the food is buttery crepes filled with tangy, creamy, vanilla scented bananas! Yes! Maybe this Sunday? I seem to be inspired to make crepes on Sundays for some reason..